Functional safety is increasingly requested for drives. Safe Torque Off (STO) is now standard on many frequency inverters and servo drives. Safe motion and safety related field buses are an increasing demand. The technical basics of functional safety are explained in this seminar. This seminar is intended for designers and engineers involved in frequency inverter and servo drive design for automation. It assumes a working knowledge of electrical engineering basics and a familiarity with inverter design principles. The ultimate BiSS Interpolator is presentated by iC-Haus, Joachim Quasdorf at SPS IPC DRIVES 2018. 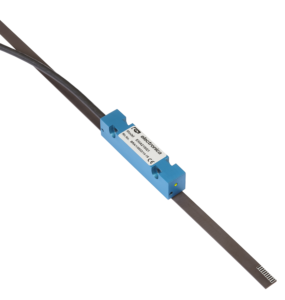 The brushless DC miniature and microdrives from FAULHABER use small absolute AESM encoder with BiSS interface for a robust and future-proof standard. The AESM series absolute encoders from FAULHABER are very compact and fit even on miniaturised, brushless DC drives with a diameter of just 8 mm. 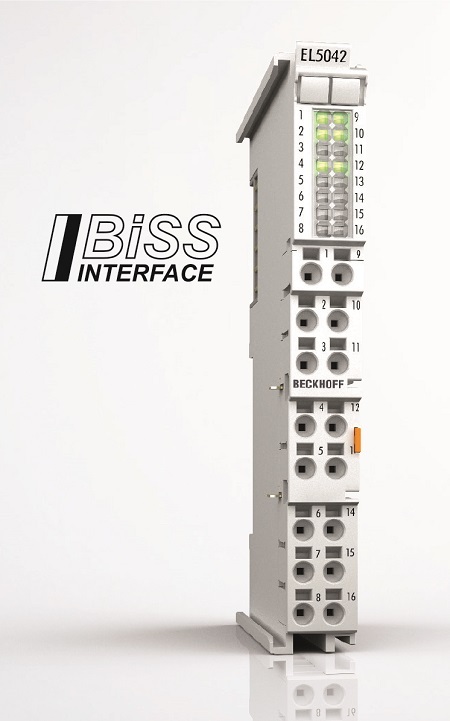 The 2-channel BiSS C interface for direct connection of BiSS C encoders is suitable for exact and fast positioning applications – with distributed clocks ensuring high synchronicity with other processes. Via unidirectional BiSS C communication, the EL5042 sends as a master the clock signal for position detection to the BiSS C slave (encoder), which returns the position data with up to 64-bit resolution. The EL5042 can be optimally adapted to different encoder types by selecting appropriate operation modes, transmission frequencies and frame widths. The EtherCAT Terminal system is a modular I/O system consisting of electronic terminal blocks. The EtherCAT protocol remains fully intact down to the individual terminal. Beckhoff provides an extensive range of fieldbus components for all common I/O and fieldbus systems. The wide choice of I/O components means that the bus system best suited to the particular application can be chosen. See more about the Beckhoff EtherCAT I/O system. Read more about the ultra-fast I/O system EtherCAT Terminals. View detailed technical data of EL5042. Electronica Mechatronic Systems (I) Pvt. Ltd. presents the EMA21 Absolute Linear Magnetic Encoder, made in India for first time. It supports BiSS-C protocol along with optional digital incremental RS422 or analog 1Vpp outputs. It supports maximum length up to 60 meters. EMA21 offers IP67 protection against dust and coolants. Resolutions of 1µm and 5µm with measurement speed of 4m/s @ 1µm. Ideal choice for robotics, pick and place applications, precise positioning and many more applications. 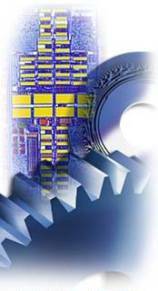 More details Electronica Mechatronic Systems (I) Pvt. Ltd.
POSITAL’s kit encoders are available with BiSS for absolute measurements. The contact free measurement technology has no moving parts and is highly resistant to shock and vibration. 17 bit electrical resolution and multiturn position measurements with a range of more than one million revolutions. POSITAL‘s kit encoders offer a unique combination of accuracy, reliability and cost efficiency. More about the BiSS KIT encoder from POSITAL.